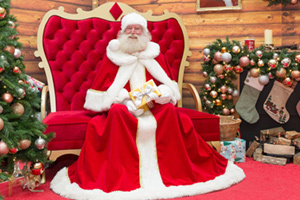 Christmas is just around the corner and Santa is returning to his magical grotto at Royal Victoria Place! Entry to Santa’s Grotto is £5.50 per child including a luxury wrapped gift. To capture the special moment, a photography service will also be available at Santa’s Grotto offering great gift ideas for family and friends. Booking recommended (especially at peak times).